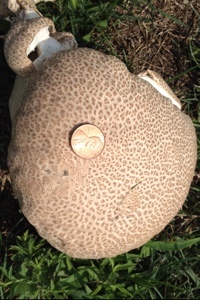 This is one of the largest mushrooms we’ve ever found on the farm. The mushroom is probably choice edible, but we choose not to! Maybe a snack for the aliens! Or maybe the aliens left a seed from a UFO. Lol. Get up and tell you where to go.